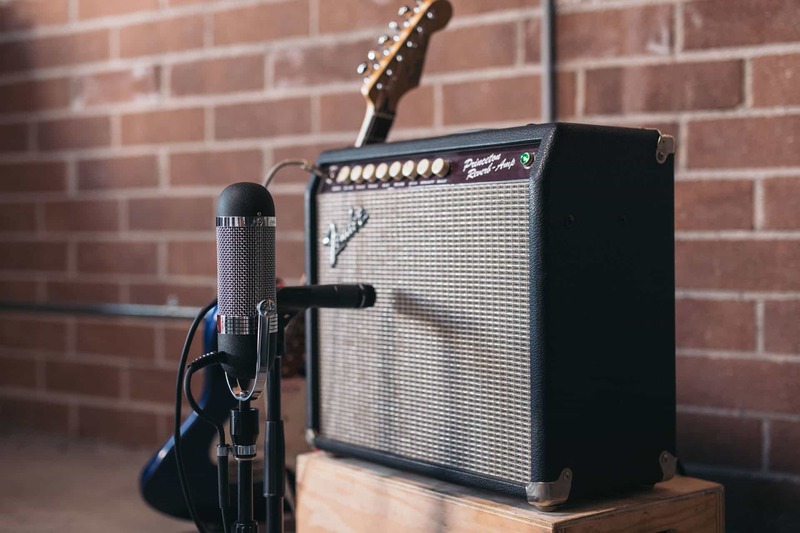 The classic ribbon character of the R84 Series comprises detailed mid-range, extended lows and a figure-of-8 polar pattern, making it a terrific tool to record an electric guitar amp. Try positioning the R84 roughly 8 to 18 inches in front of the speaker’s center, keeping in mind the R84’s proximity effect accentuates the bass of a source within 18 inches of its reach. Within that range, moving the R84 closer to the amp will accentuate bass, while pulling it away will lessen that effect. 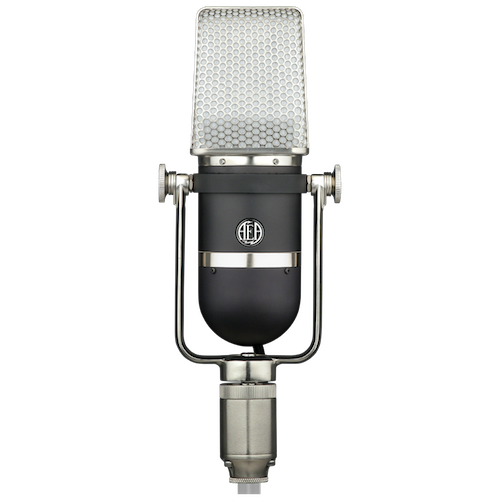 A popular close-mic application of the R84 involves blending its signal with a dynamic mic to gain a high-end bite in the mix. 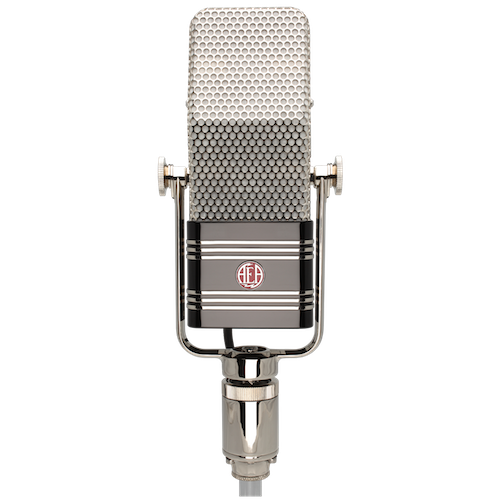 Place the R84 2 inches from the speaker’s center and align a dynamic microphone adjacent, remembering to correct phase between the two microphones before tracking. Some engineers choose to treat the compound signals from the two mics as one by panning them together. 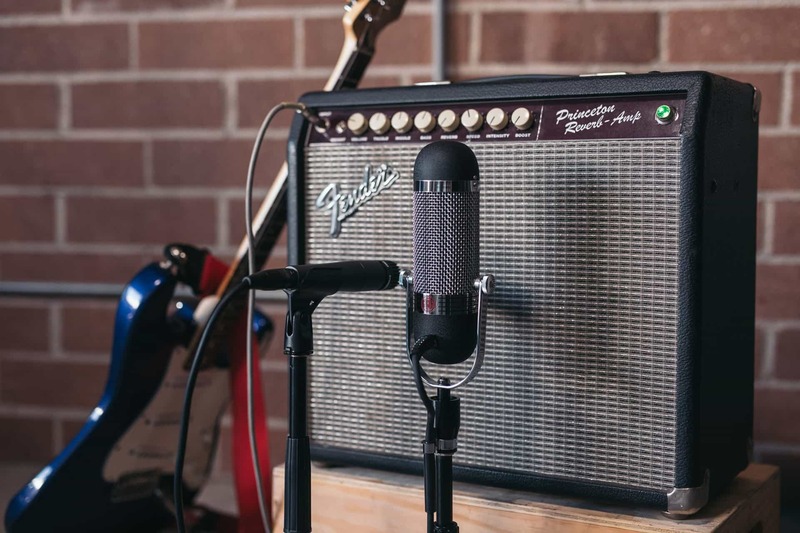 Others opt for hard panning both mics to their own ends of the mix, a method that adds dimension and depth to an electric guitar tone. Sample delaying one of the two microphones by roughly 20 to 50 milliseconds gives the impression of a larger room, achieving greater depth in a mix. Remember to ensure that the sample delay is short enough to avoid phase issues. Some engineers choose to treat both mics as one by panning them together. 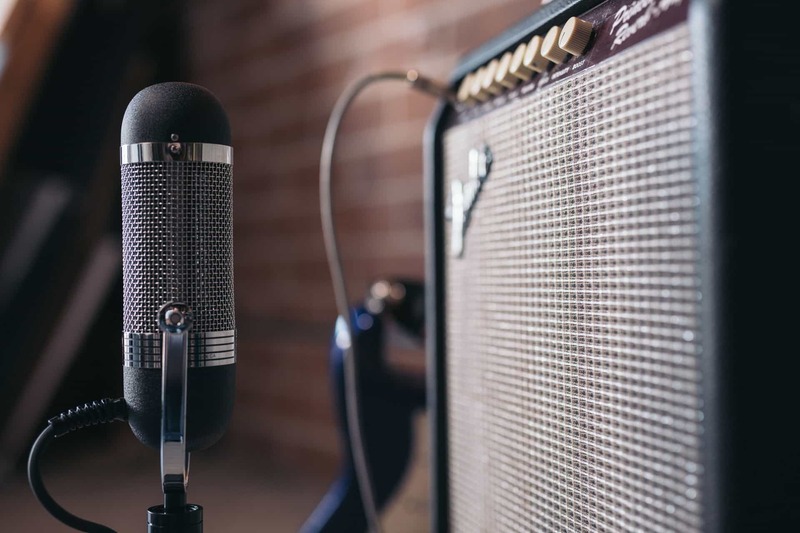 Others opt for hard panning both mics to their own ends of the mix, a method that adds dimension and depth to an electric guitar tone. 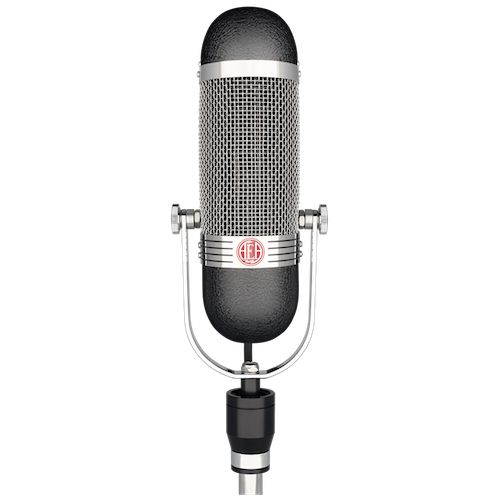 Yet another technique for blending the R84 and a dynamic microphone involves positioning the dynamic 2 inches from the speaker’s center and the R84 roughly a foot behind it. 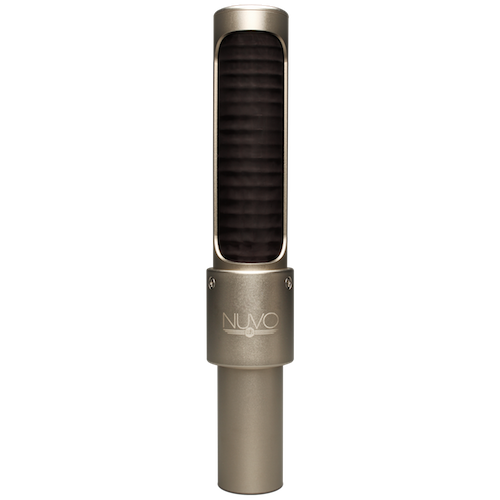 The dynamic microphone acts as a focus mic while the R84 serves to capture the room and natural reverb. 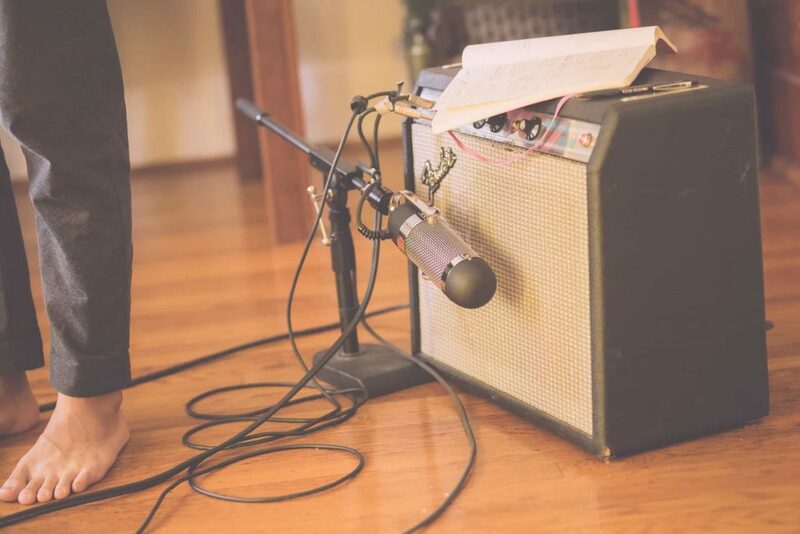 With this mic setup, you can use the same techniques as above to create a whole palette of sonic styles. Try sample delaying the R84 in this position to create a nice and natural larger sound.